NEW: Karriem Riggins to release debut solo album! 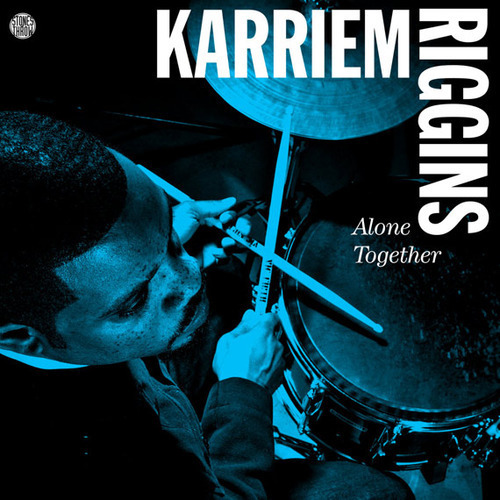 Karriem RIggins is a true drumming virtuoso, he has performed and recorded with some of the greatest Jazz musicians the world has ever seen and produces the kind of beats that fans of J Dilla will love. He has never really taken the limelight, even in this age where producers have become (rightly so) just as famous as artists and vocalists, choosing instead to remain an unsung hero of hip hop. His CV though reads like a hip hop head’s dream collab. wish list! Jay Dee, Dwele, Talib Kwali, Common, The Roots, Erykah Badu, Mad Lib are just a few that he has produced for/with. He’s also responsible for one of my favourite tunes of all time, the majestic Slum Village – Tainted. ‘Alone Together’ is his brand new solo project, packed full of hip hop instrumentals that feel and sound like they were made by a real musician. Expected to drop in October, I got my hands on a copy early and haven’t stopped listening. Check out a lil freebie from the upcoming album below..